To discover how, read all about it in the BRAFER testimonial. 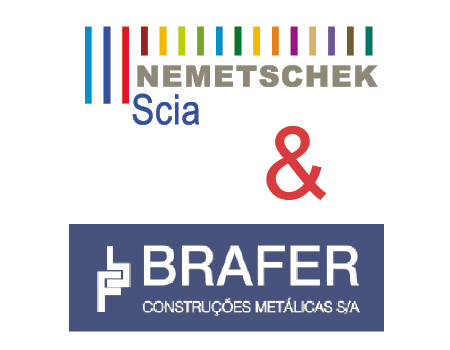 Great news for steel fabricators, Scia Steel Manager now interfaces with AVEVA Bocad! Scia Steel Manager had already interfaces to import 3D models from TEKLA and SDS/2, so we added the option to import the 3D model from AVEVA Bocad as well. It is widely used in the offshore and transmission towers industries around the world, as well as in the case of complicated steel structures. Clients will now be able to produce every project through our 3D model-based fabrication solution no matter where the data is coming from. Directly importing the AVEVA Bocad 3D model allows the user to directly work on the same 3D model through the Scia Steel Manager: phases definition, planning, production, nesting, CNC control, erection, complete welding management, shipment, etc. with the possibility to check the project progress on the Scia Steel Manager 3D model at any time. EN 1090 - CE marking compliance – how can Scia Steel Manager help you? We already reported in the previous NEWS on the support for welding management. However, the EN 1090 is broader than just welding. EN-1090 imposes also requirements with regard to the implementation. Punching, drilling and cutting have to meet specific requirements. Scia Steel Manager includes a specific geometric inspection in accordance with EN-1090 conditions indicating any non-conformity in the production process. Higher quality requirements reinforce the need to record the registration and history of production operations; this leads to more administration work and extra costs. On the other hand, the entire work preparation being reviewed can show whether further automation can improve efficiency. An integrated approach enables the production to be managed through transparent management and leads to cost savings. Automation supports this in various areas: revision control of material and production lists, stock control, planning taking into consideration the available capacity, machine management, etc... This includes all areas of work preparation, the production itself, welding operations, as well as transport and erection. Do you want to find out how Scia Steel Manager can make your steel fabrication business more profitable?